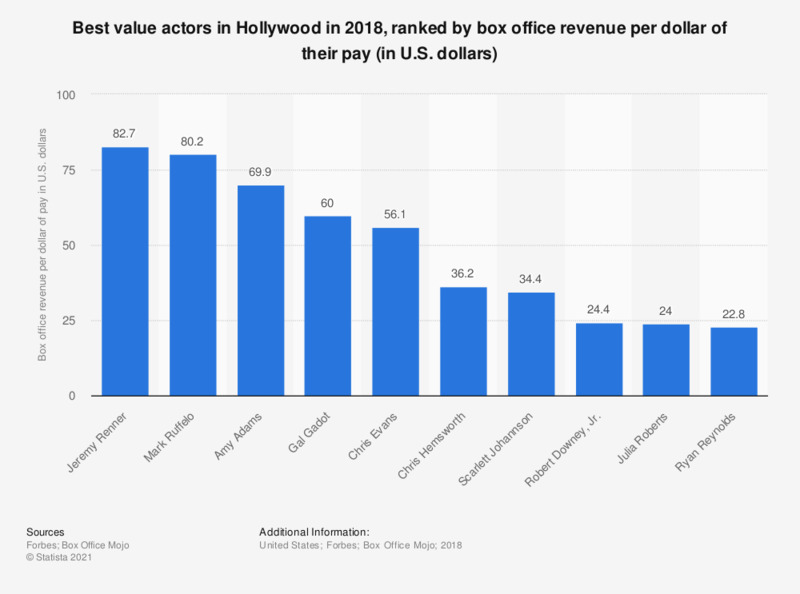 The statistic presents a ranking of the best value actors in Hollywood in 2018. Jeremy Renner topped the list - his most recent movies generated on average 82.7 dollars of box office revenue for every dollar of his pay. Chris Evans ranked fifth with 56.1 dollars per one dollar of his pay.